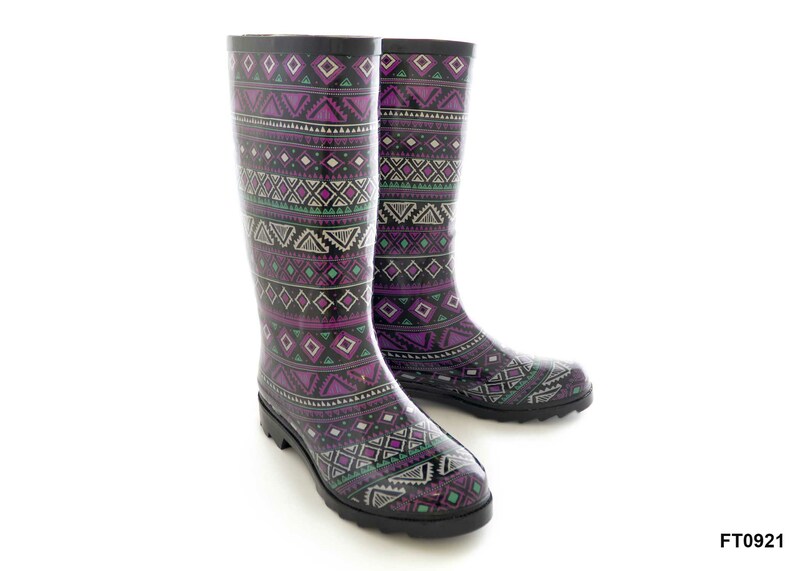 Ladies black printed welly, with Aztec design. » Available in UK Sizes 4 to 8. 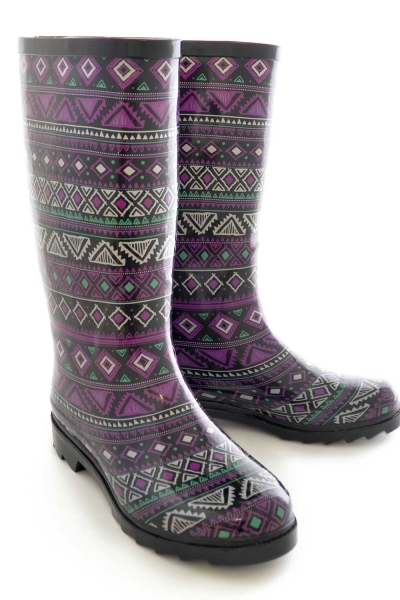 We recommend you chose a size up on these boots.